I uploaded photos tonight for the lucky thirteen: a love story and a stair hall, but got a little sidetracked making a link to all the room (love) stories. So maybe the words will flow tomorrow. And maybe I’ll have a good story or two for the stairs… they are just escaping me at the moment. After that I’ll wrap up the thirteenth “room” – the exterior of the house and also the changes on our street over the last thirteen years. See – thirteen love stories for thirteen years! Ah, the symmetry of it all. 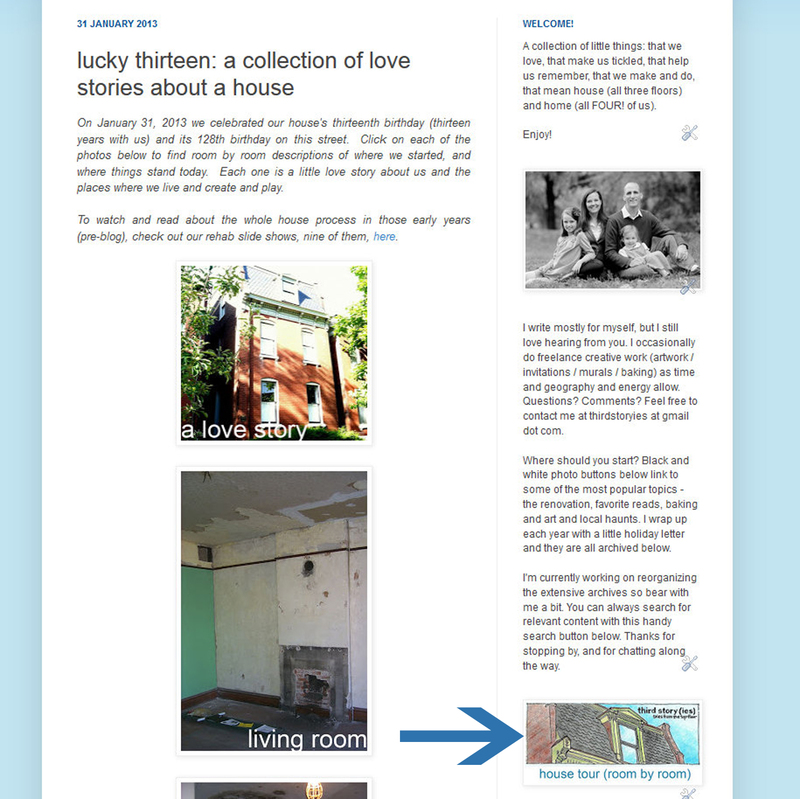 If you ever want to tour the house from start to finish still unfinished, then click the handy little house tour link in the side bar and it will take you to the page with all the photo links to each room. Maybe I’ll figure out a way to update those as well – I just noticed that my half bath recap doesn’t even include the crazy paint job in there. I guess I’ll just add links below the pictures to do that. I highly recommend reading through some of these stories whenever you are feeling a little stuck on your own house. We have had (and still have) so many “stuck” moments, but the perspective of time, coupled with some photographic evidence of slow and steady progress, always helps me get motivated again.